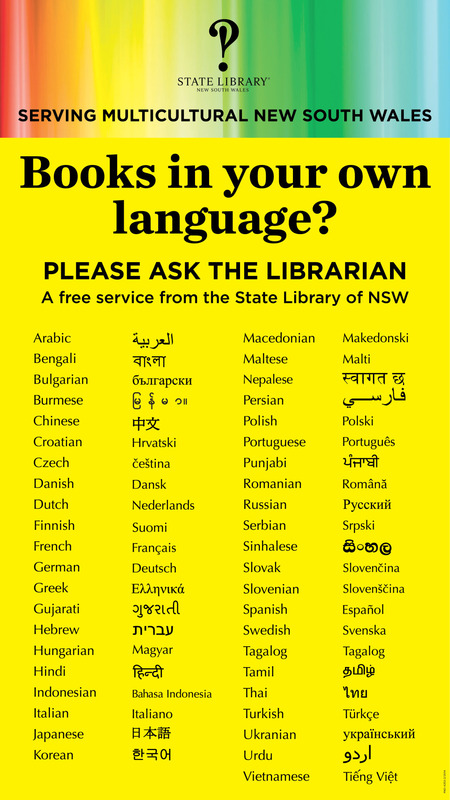 Did you know the State Library of NSW has a collection of books in 43 languages? These are available for loan through your local public library! Just at the information desk. The State Library’s Legal Information Access Centre also has legal information in community languages on the Find Legal Answers website.